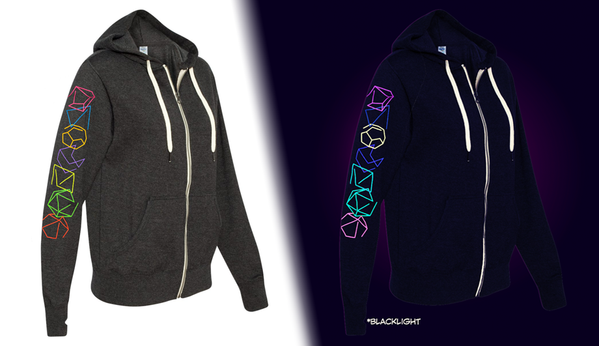 This year a portion of the proceeds will go to our favorite gaming charity, Game to Grow. Game to Grow is a 501(c)(3) non-profit organization founded in 2017 on the belief that games of all kinds have the power to improve people’s lives. Game to Grow’s weekly therapeutic social skills groups help young people become more confident, creative, and socially capable using tabletop games, most notably Dungeons and Dragons. 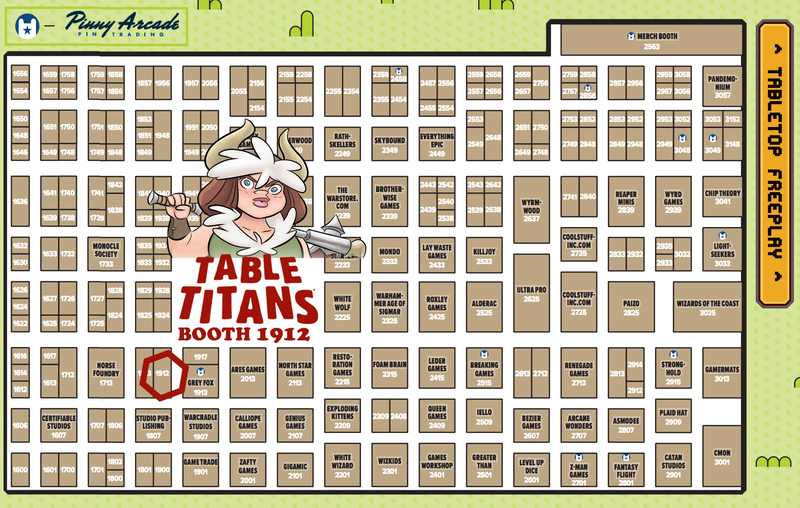 Game to Grow will be at the Table Titans booth this weekend, stop by and say hello! 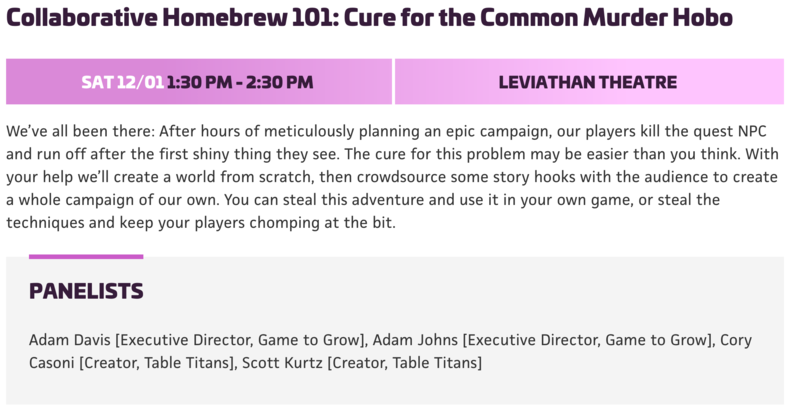 Speaking of Game to Grow, come join me on their panel as we figure out a cure for the murder hobo... together. As always we’ll have our full selection of nerdy game tees, Table Titans books, and a restock on the Adventure Journals! The Adventure Journals are great for chronicling the lives of three of your Dungeons & Dragons characters. They include custom designed pages for characters stats, spells, equipment, session notes, and maps. Being this close to the holidays our booth is basically a one-stop-shop for all your present quests.